My musical theater journey began during the 2016/2017 FMT season. I have been apart of other community theater productions in the past, but none that could compare to the excellent training I’ve received at FMT. I have always enjoyed singing. For a few years I led worship at my local church. It was not until this past year that I began formal vocal training. Not only have I been enrolled in Cedar Valley College’s voice classes and private voice lessons, but I have also been blessed with the opportunity to be a part of the FMT family. In the fall of 2016, I stepped foot into the doors of Family Music Theater. Little did I know the great impact it would have on me. I was cast in the ensemble of 'Pirate Queen', and in the Spring of 2017 I played one of the Mersisters in 'The Little Mermaid.' During that time, my confidence grew and I learned more about acting and being apart of an ensemble. During that time, I was being trained classically under Dr. Sam Germany. All of these vocal activities attributed to my growth as a singer and performer. Just when I thought things couldn’t get any better, another opportunity was standing right in front of me. 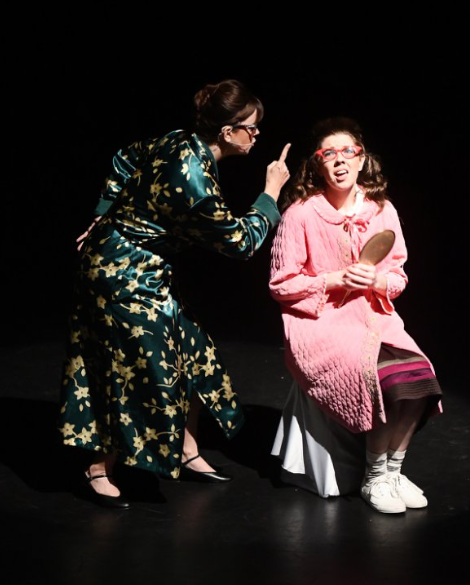 I was so honored to receive and play the role of Penny Pingleton in FMT’s most recent production of 'Hairspray.' This role gave me the opportunity to step outside of my comfort zone and bring joy to so many people. This summer has been full of fun activities. From my involvement in Hairspray, to attending a School of Worship in California, to spending time with family in Colorado, I have not had much time for anything else. In lieu of my audition video for this scholarship, I am submitting my latest performance at the 2017 FMT Revue. I also have access to my performance as Penny Pingleton in Hairspray. Both performances gave me opportunities to reach new levels of confidence. This scholarship would not only help financially with my studies in music, but it would also further my pursuit in the art of musical theater. I am very grateful for yet another opportunity like this one!